What if you could travel inside another person’s soul? To battle for them. To be part of Jesus healing their deepest wounds.Thirty years ago that’s exactly what Reece Roth did. Until tragedy shattered his life and ripped away his destiny. Now God has drawn Reece out of the shadows to fulfill a prophecy spoken over him three decades ago. A prophecy about four warriors with the potential to change the world...if Reece will face his deepest regret and train them. They gather at a secluded and mysterious ranch deep in the mountains of Colorado, where they will learn to see the spiritual world around them with stunning clarity. One rainy day in Seattle, young software tycoon Micah Taylor receives a cryptic, 25-year-old letter from a great uncle he never knew. It claims a home awaits him on the Oregon coast that will turn his world inside out. Suspecting a prank, Micah arrives at Cannon Beach to discover a stunning, brand-new, 9,000-square-foot house. When bizarre things start happening there, locals tell cynical Micah the place is “spiritual”. But he will slowly discover the home isn’t just spiritual; it’s a physical manifestation of his soul. ©2010 James L. Rubart (P)2010 Brilliance Audio, Inc. The story was very good...similar in theme to the Nicholas Cage movie, "The Family Man". The lead character changed his mind a few too many times for me, but I understand how it played into the changes in his life. Will definitely read more by Mr. Rubart! Very, very enjoyable! 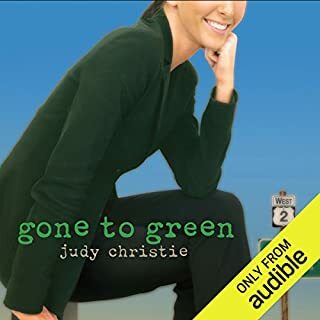 Glad I purchased this audio book. 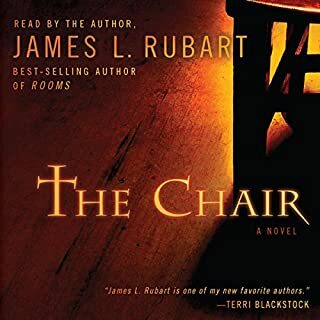 I also liked his book, "The Chair". I anticipate purchasing more of Mr Rubart's books. The narration was very good, also. This is Christian Fiction at it's best. Thanks, Audible, for making this genre' available! What made the experience of listening to Rooms the most enjoyable? The consequences to the main character's choices were very significant. Our choices in this life don't always impact the way his did. 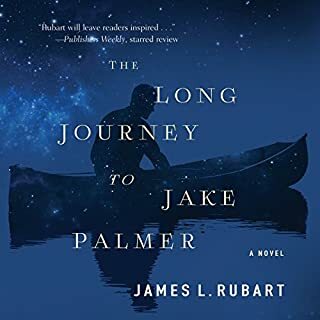 Have you listened to any of James L. Rubart’s other performances before? How does this one compare? I've not listened to any of J L Rubart's other performances. Entertaining and spiritually eye opening! first time reading a Christian mystery and I wasn't let down. Great story line. I read this book for free on my Kindle and LOVED it. I was very surprised when I went to purchase the audio version for my husband that it wasn't out yet the book had not even been released yet. So I finally got the audio version and what a treat it was James L Rubart did a wonderful job narrating as well. If you love God you will enjoy this Novel very much! This starts out a bit slow, but grabs your attention shortly. Enough twists to keep you eager to hear more. You will hear a message just for you by the middle of the book, listen carefully. 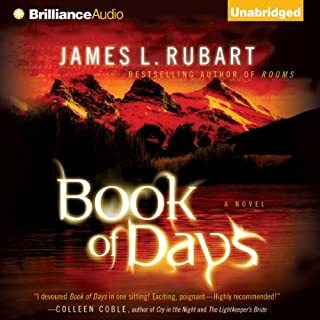 Author is also narrator, he does fairly well for a long listen. Ted Dekker has a match with this author. What disappointed you about Rooms? This book was so disappointing. It was some sort of Allegorical Read but felt like he was trying to copy THE SHACK. It was long... boring and really preachy. I get was he was trying to communicate but whoa.... it did me in. I decided I would finish it to the end and so I did but it left me with a big disappointing taste. 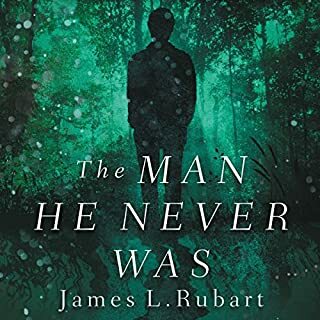 Would you ever listen to anything by James L. Rubart again? After I had been listening to "Rooms" for an hour and a half, I went back to the synopsis to see if I had misread anything. From the description, I was expecting some kind of mystery or thriller. Instead I was listening to a book that should be described as religious fiction. This is not a problem in itself, but it was also tedious and just not gripping my attention at all. The characters are two dimensional and the description of his issues is clumsy. If the book had been described properly, I would have saved myself the credit. Audible needs to work on its classification. So much stuff in the sci fi/ fantasy area is actually YA or, in this case, preachy religious sermons. I thought I was getting a supernatural mystery, but instead I got a ton of bible quotes and a plot fully telegraphed from the second chapter. The main character isn't a person, he is a plot device making choices and speeches pretty much so Jesus, an angel, or God can come in and save the day and quote some Bible verses. I'm sure this is great for someone looking for a novel affirming his or her faith, but if you get it thinking you'll get a mystery or plot or character development that isn't a straight line towards rejecting sins like R-rated movies and working long hours to walk the path of Christ, you'll be disappointed. The author isn't so bad at narrating, until he tries to do accents. His Aussie veered around Scotland and Mid England while skating around American with dropped post-vocalic-Rs. I didn't like...I loved this book. I didn't want to stop & I couldn't wait to get back to it when I had other things I had to do. The one thing I don't agree with is when Mica told satin that he binds him I the name of Jesus. I was taught that binding & loosing was referring to discipline. That even the archangel Michael didn't tackle satan. He called on God to rebuke him. That being said I can't wait to read more of this authors' books. 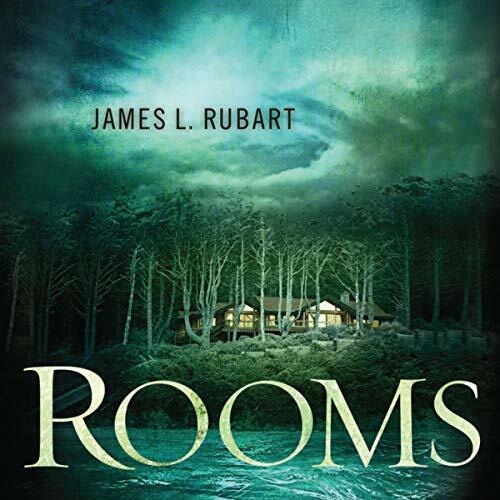 Would you consider the audio edition of Rooms to be better than the print version? I bought the ebook and audio as whisper-sync from Amazon. It was the first time I had used this system, which enables you to either read or listen to the book and it will sync to the last point you have got to regardless of format. I'm not sure what I did wrong, but I started reading, went to audio, and when I went to listen to it again it took me back to where I had been reading! It is good though, to have the choice. Personally, I preferred to listen to it and think it would have taken me a lot longer to read it. What other book might you compare Rooms to, and why? I would say it is similar to e.g. Paolo Cohelo, as he brings the allegory to life through simple story telling. Also echoes of the Butterfly Effect in terms of how different actions have their own reactions and repercussions, although it's not at all violent or disturbing. Which character – as performed by James L. Rubart – was your favourite? I liked Rick, and Sarah. I loved the moments of realisation, which even if we can see them a mile away are truly revelatory for Micah! I loved to see what was behind each new door, and how Micah would respond to it. And I really felt for young Micah, I just wanted to hold him and tell him how great he was and that it would all be OK. I really wanted to give it a 5, however something about it was just too simplistic and a little trite. That said, it is a good read and does make you think. Great narration, really enjoyed listening to it. 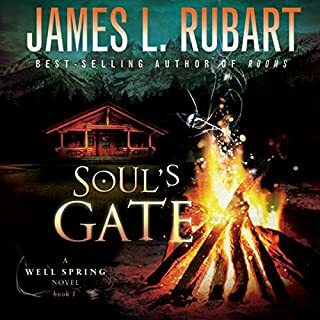 I have listened to both of Rubart's books on Audible now and have to say the the Christians will love this book. I do not feel though that his writings are preaching, quite the opposite they are quite uplifting although a little corny in some, but only some, places. The actual stories, without the God part make for very good and quite original stories. Definately worth listening to. My only gripe; the author really should have let someone else read his books. Fantastic, fascinating read. An biblical allegory not easily forgotten with unexpected rwists and turns. Loved the characters , complexity and subplots. A real page turner. The Aussie accent was a bit of a giggle though. Needs a bit more practice.